Over the past year my television habits have changed greatly. I found myself watching only a handful of shows as they appeared on network television (mainly The Walking Dead, Chicago Fire and the conclusion of Breaking Bad). I currently subscribe to three different streaming services for entertainment purposes in the Pehote household. Each of the services can be streamed to my televisions, computers, tablets and phones. Amazon Prime Instant Video: I have been a Prime member for a few years and really use it mainly for the fast (free) deliver on a number of items. I never really watched much of their streaming selections. In all honesty, their streaming library is not that great when compared to others that are available. Recently, Amazon announced a partnership with HBO to include HBO Go streaming via Amazon Prime. This may increase my use of Amazon's streaming selections. I really want to watch The Wire, which I have never had a chance to watch. I also really need to pick up a cheaper Kindle so I can enjoy the free books offered to Prime members. Unfortunately, Amazon just raised the price of prime to $99 (from $79). I was lucky to just renew my membership at the $79 rate, so I am not sure what I will do next spring when my membership is up for renewal in 2015 at the $99 rate. Netflix: Late in 2013 I added Netflix streaming for $7.99 a month. I really enjoy watching television programs, movies and documentaries on my terms with Netflix. Granted, Netflix is not home for all first run movies, but it does have a huge collection. I really enjoy it more for the television programs in the collection. I just finished all sevens seasons of Aaron Sorkin's The West Wing. It took a while, but I was able to enjoy the entire series from its beginning in 1999 to its conclusion in 2006 within the past four months. Speaking of The West Wing this has to be one of my favorite scenes.....a little shot at Dr. Laura I am sure. WWE Network: My newest streaming addition was The WWE Network which I purchased for my son, and only my son.....just like all the video games I still purchase. I plan to devote an entire entry to the network in the near future, but I think it is a great deal for any wrestling fans. For $9.99 a month I have access to a huge streaming video library of wrestling history. Also, each WWE pay-per-view event is included in the $9.99 per month cost, a huge bargain. Keep your eyes open for my full review later this month! 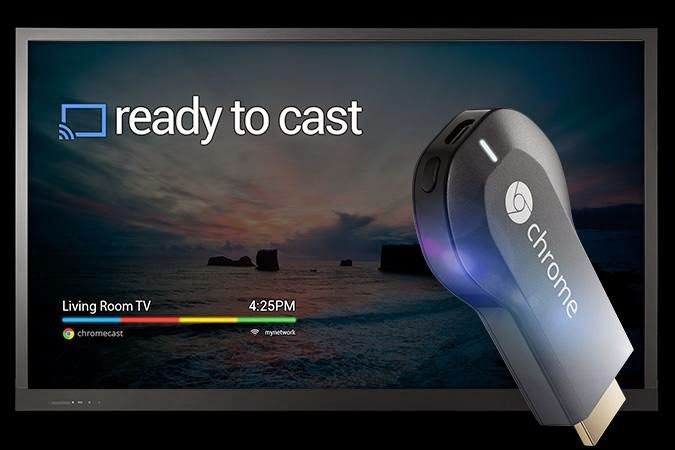 Google Chromecast: To assist with all of my streaming I decided to purchase a Google Chromecast for $35 to assist with streaming to my main television. Basically, this small HDMI key allows me to stream most items from my computers, tablets, and phones to my television. While the device has been helpful (The Netflix interface is much better using Chromecast than via Xbox Live or my TV/DVD players) it is not a perfect device. It appears to work better with services that it has applications developed for already, as opposed to straight streaming from Chrome. Still, for $35 it is a nice method to stream wirelessly. In the end, you need to decide what services are best for your household. Do the research and decide which work best for you. You will probably discover that one service does not "have it all" and you may have to double up to fulfill your viewing requirements. One thing is clear.....the days of saying "there is nothing on TV" have to be coming to an end. What streaming service(s) do you subscribe to? Are you totally cable free? I would love to hear from you. Happy....viewing! !